Sharjah: He hails from a truly sporting family. His father and his uncle were top-level footballers at Al Shaab. So it was but natural that Jasem Mohammad Al Doukhi followed in their footsteps, growing up to be one of the best strikers in the UAE alongside Adnan Al Talyani and Zuhair Bakhit. Not to be left out, his three younger brothers — Ammar and Yousuf at Al Shaab and Khalid at Sharjah Club — were also bitten by the football bug. But it was Jasem, as the eldest of the four, leading the way. He worked his way up till he was called up for the under-18 national squad, the under-23 Olympic team and finally into the senior side post-the 1990 Fifa World Cup in Italy. “I had a great desire to be part of history by making it into the 1990 World Cup squad. But somehow I couldn’t make it as I was just about to make it big as a striker. Besides, there were others like Adnan [Al Talyani] and Zuhair [Bakhit] and it was not easy to get noticed,” Al Doukhi told Gulf News. Then the UAE got the opportunity to host the 1996 AFC Asian Cup and Jasem got his much-awaited nod as coach Tomislav Ivic made the lanky striker a part of his plans. But once again it was disappointment as the Al Shaab marksman picked up an injury during the team’s training camp in Germany during the build-up to the tournament. “I had been the highest scorer in the UAE League at the end of the 1995 season. I had done everything that was required, but fate intervened and I had no option but accept my fate. I watched from the stands as the UAE ended runners-up to Saudi Arabia in Abu Dhabi,” he recounted. With Al Doukhi as the main man, Al Shaab went on to inscribe their name as the champions at the inaugural GCC Clubs Cup in 1993-94: But, Al Doukhi’s most memorable moment came when he scored deep into injury time as Al Shaab denied Saudi Arabia’s Al Ittihad a spot in the 1995 Asian Championship League final. 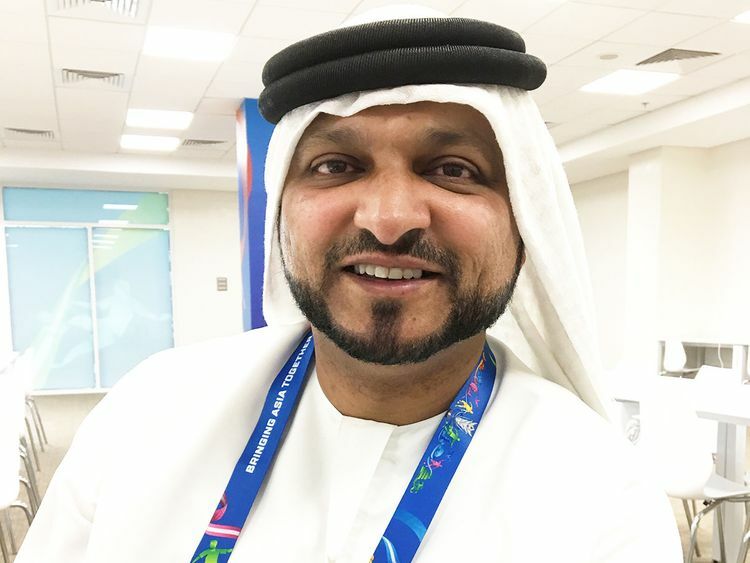 Now 45, Al Doukhi is now on a new learning curve as the media in-charge at the Sharjah Stadium for the 2019 AFC Asian Cup. “It’s a totally new experience for me, but I am enjoying it as it makes me give my best representing Sharjah and the football family. It’s very important to have media as a partner,” he said.